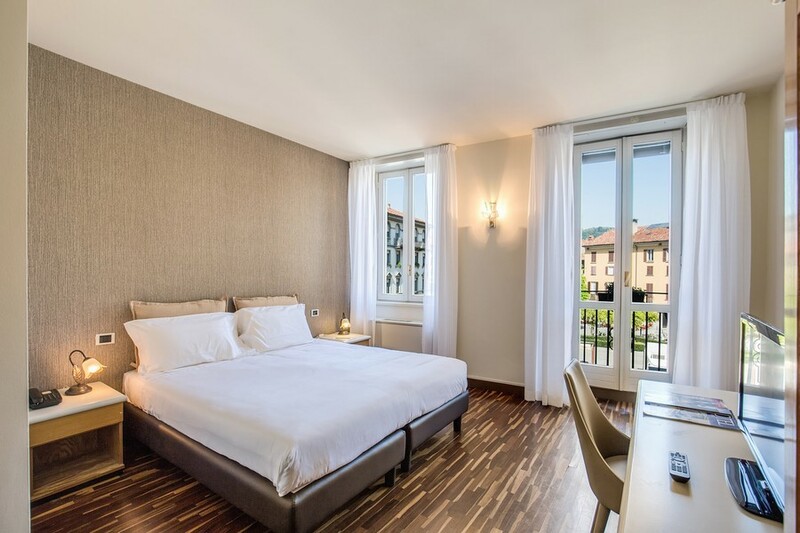 The Albergo Firenze Como is an elegant and comfortable 3 star hotel located in the very centre of Como overlooking Piazza Volta. Occupying a historical neoclassical building, the Albergo Firenze offers 44 clean and comfortable rooms that are available in either the single, double or triple varieties. In addition to the great facilities of the guest rooms, the Albergo Firenze also enjoys impressive communal facilities for the comfort of our guests. On arrival, guests are greeted by our friendly staff on our 24hr reception. To appreciate better exactly what the Albergo Firenze can offer, visit our Photo Gallery page. Once completely satisfied, make use of our 100% secure online booking system to enjoy the lowest possible prices available.